Doulton’s Clay Pit, Saltwells Local Nature Reserve. Doulton’s Clay Pit, Saltwells Local Nature Reserve. Photo by Andy Harrison. 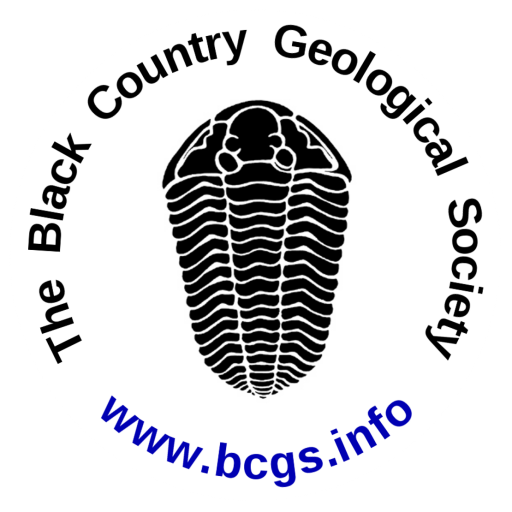 BCGS members have been here many times on field visits, but not necessarily to undertake any geoconservation work. Both days were cold and cloudy with variable amounts of precipitation when we met Head Warden, Alan Preece, in the Saltwells car park around 10:00. We were also joined by members of the local ‘friends’ group. After years of neglect there is much to do at this site and Alan was pleased with our help. Saltwells is a three times geological SSSI, with many important exposures showing Carboniferous Coal Measures and Silurian Wenlock Series sequences. At Brewins Bridge cutting on the Dudley No. 2 Canal the contact between these two sequences is well exposed. 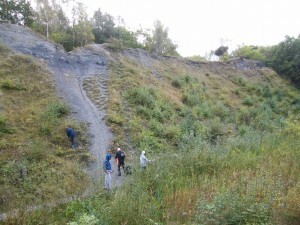 In Doulton’s Clay Pit, so named after the Doulton Pottery Company who extracted fireclay from this location, we spent time clearing scrub, saplings and undergrowth from the northern and eastern slopes. The bottom of Doulton’s Clay Pit contains a marshy, acidic habitat, which is important for many plant and insect species, such as orchids, dragonflies and butterflies. 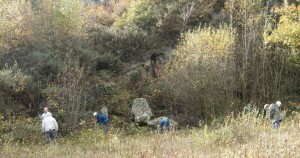 Clearing the vegetation not only exposes the clay beds, coal seams and sandstones of the Coal Measures strata, but also helps to manage this habitat too. There is still much work to be undertaken at this site including the felling of larger trees and clearance work at other locations, such as the incline and Brewin’s Cutting. However, some of the work requires specialist contractors with the appropriate tools and training, which of course costs money. So whatever voluntary help Alan can get is much appreciated.